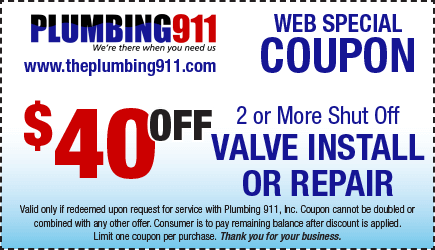 Beyond your main shut off valve for the entire home, we recommend that each fixture (i.e. toilets, faucets, outside hose spigots, water heaters) has its own independent shut off. This will enable you to have water throughout the home, while isolating water leaks. It is good practice to annually check your shut off valves to ensure they are not leaking and are able to open a close properly. Water heater, toilets and main shut off valves are the primary culprits to plumbing emergencies, so check these for sure.